F.A. 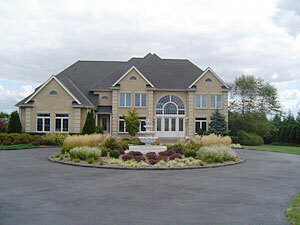 Hobson Landscaping offers comprehensive service in all aspects of landscaping. Our professional management team is used to working with the clients and developers to get quick and beautiful results. We have a skilled team of horticulturalist and landscape construction experts with the necessary skills and experience to carry out all major projects and make your Delmarva home look the best that it can. If you can imagine it, we can design and build it. Contact us, we are happy to answer any questions you may have. We proudly service Maryland and Delaware including Chestertown, Kent Island, Annapolis, Centreville, Middletown, Queenstown, Arnold, Wye Mills, Denton, Easton, Severna Park, Preston, Galena, Oxford, Saint Michaels, Tilghman Island, Hurlock, Rock Hall, Seaford, Elkton, Federalsburg, Church Hill, Ridgely, Worton, Sudlersville, Greensboro, Grasonville, Marydel, Millington, Hillsboro, Kent Narrows, Tolchester, Betterton, Ruthsburg, Crumpton, Price, Trappe, Bozman, Cordova, Cambridge, and all communities in-between.